I have information on abducted girls, Says Shettima- Huh? According to a BBC News Africa, Governor Shettima said he has information about the missing girls and have disclosed that to the Millitary. Hmnnn….isn’t it interesting to hear? The governor of Nigeria’s Borno state says he has information on the whereabouts of about 200 schoolgirls kidnapped by Islamist group Boko Haram. Mr Shettima added that he did not think the girls had been taken across the border to Chad or Cameroon. Earlier, France’s president offered to host a summit on Boko Haram. “I suggested, with Nigerian President Goodluck Jonathan, a meeting of Nigeria’s neighbouring countries” Francois Hollande said. “If the countries agree, it should take place next Saturday” he added. Countries neighbouring Nigeria, such as Cameroon, Niger and Chad, would be invited to the security summit. Aides said the US, UK and EU would also be likely to attend. 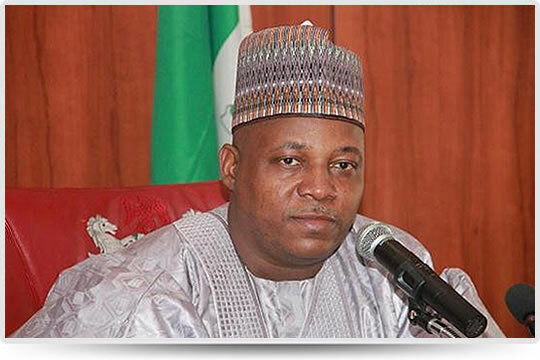 Posted in News, Politics Tagged I have information on abducted girls, Says Shettima- Huh?